After a tough Week 5 win over the Lebanon Hitmen, the Middle Tennessee Bulldawgs (6-0 overall, 3-0 Lawdawg Conference) needed a game to build confidence. 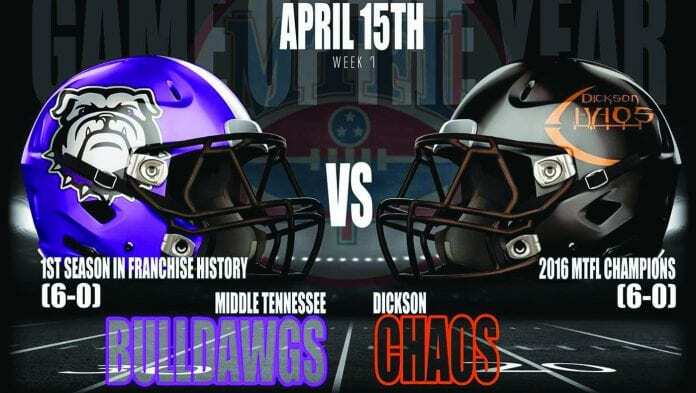 They got just that running out to a 20-0 first quarter lead before downing the Clarksville Rattlers (0-6, 0-4) 46-0 in Middle Tennessee Football League Lawdawg Conference action. One of those guys was linebacker Hunter Felts. Felts was named the Play It Again Sports Bulldawg Play of the Game. He recorded seven tackles, a blocked punt for a safety and a fumble recovery for a touchdown. B.J. Ladd played defensive end for the first time and had a fumble recovery for a touchdown. Veteran linebacker Jeffrey Patterson also contributed with a sack for a safety. The Bulldawg defense recorded 10 sacks, forced seven fumbles recovering three and had an interception by safety Marcus Hill. The Bulldawg offense also played well scoring three times on the ground and once through the air. Running back Keon Bohannon scored the first touchdown of the game on a 46-yard run. He then capped off the first half with a seven-yard run to give his team a 36-0 halftime lead. Quarterback Jason Hankins hit a streaking Keegan Brickman on a 46-yard pass to paydirt. Hankins finished the scoring with a seven-yard touchdown run. 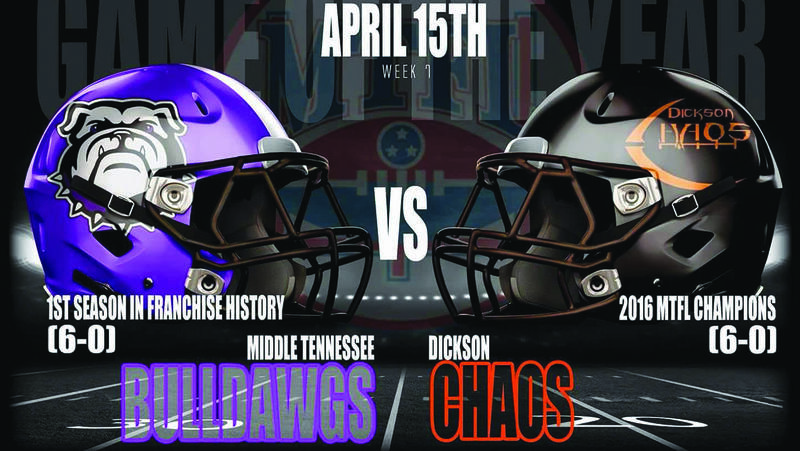 The Bulldawgs will be back in action Saturday when they take on the 2016 MTFL champion Dickson Chaos. Both teams are undefeated and will be playing for the top seed in the playoffs. The game will be at 8pm. Next articleResurrection Glory! What Do You Know?